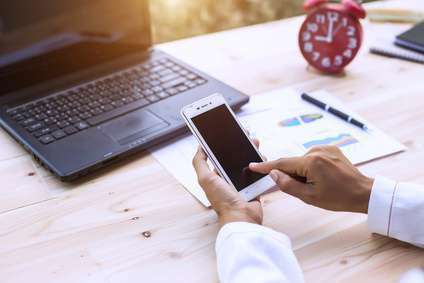 Hang on to your digital hats and make your mobile phone your new BFF, as the momentum from Dating Sunday, the busiest day of the year, will now continue through the peak season, now through Valentine’s Day. What happens on During Peak Season? Peak season is one of the busiest times of the entire year for new signups and activity on dating apps, Know that you won’t be swiping alone and that your next match could be a click or swipe away. Between breakups from last year, New Year’s resolutions including finding love, and the ticking countdown clock to Valentine’s Day, there’s a huge flurry of activity going on, and it’s time to join the digital party. Here are four tips to help you fill up your date cards online right now, so you can meet someone to connect with offline in 2019. 1. Post New and More Photos. When you post at least six photos, you’ll have a greater chance of someone reaching out or responding to you. Most dating apps allow you to post six to 10 photos, and I encourage you to use all of the digital real estate available to shine and look your best. The options usually allow you to snap a photo on your mobile phone’s camera, use existing photos from your camera roll, or often you can link to your Facebook or Instagram photos, to grab some of your favorite pictures. 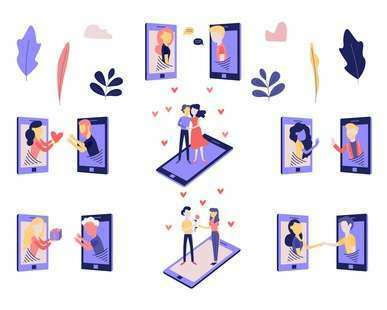 Apps including Bumble and OurTime let you upload six photos, Match and OkCupid apps allow up to ten photos, and Tinder and Coffee Meets Bagel lets you post up to nine photos. Which Photos Should You Post? Did you get a new puppy? 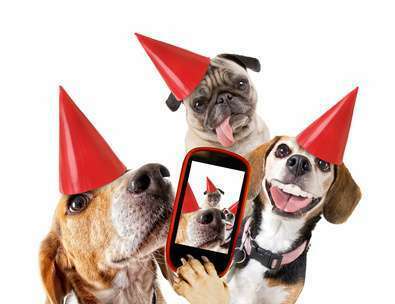 Post a few shots and let your potential date know the name of your four-legged friend in the caption. Women love photos of men with their puppies, but men shy away from women with cat photos. If you’ve just returned from a great vacation, post some scenic shots and make sure to add the captions. Try to keep the photos about you, and leave the party shots behind. Posting too many group photos can become confusing to those gazing at you, and I recommend that you toss out the photo wearing sunglasses and the selfie shots. When you’re dating online, your profile needs to be about “you,” so your potential date she can start imagining becoming an “us” with you in mind. The good news is you’ll start receiving notifications and comments about your photos, so you can see which ones are the most popular when it’s time to swap or rotate pictures. It’s also the perfect opportunity to write back to those who have complimented you. 2. Give your bio a digital facelift. Many singles write a profile, toss up a few photos, and wait for all of the messages and push notifications to roll in. Being passive isn’t going to work, and neither does playing the waiting game. I’m here to tell you there’s no magic formula to attract “Mr. or Ms. Perfect instantly,” but this advice is as close as you’ll get. You MUST rewrite last year’s profile, which is now stale, and continue to update it from time-to-time, just like you do on social media. To keep it simple, try rearranging your sentences to help boost your visibility, or tease your potential date with details of your upcoming vacation. I tell my clients they should always revise their profile with their latest travel photos. Even if your dream is to hike Mt. Kilimanjaro, snap a pic at a local hiking trail in your neighborhood and remember to caption it. 3. Use your mobile app and turn on push notifications. Make sure you have the push notifications set to the “on” position on your dating app, so you can know instantly when someone is interested in you, or replies to your message. Everyone is using their mobile apps to check texts, get calls, and scroll through their Instagram feed, so finding love on your phone is the most effective way to fill your date cards. There’s been a lot of chatting back-and-forth, and not enough meeting in person. If someone interesting writes to you, don’t wait to write back. I say strike when the digital iron is hot and get a conversation going and put a date on the calendar. If you don’t, someone else will, so start searching, swiping, get the convos going. It’s time to fill your date cards and schedule dates on your calendar with someone who’s been waiting to meet someone just like you. If you need help to jump start your dating life, contact us to find out how our Irresistible Profiles can help you find your dream date. Julie Spira is America’s Top Online Dating Expert and Digital Matchmaker. She was an early adopter of Internet and mobile dating, and has been coaching singles on finding love online for over two decades.